2016, tumultuous to say the least. Whether it was Donald Trump's antics, the terrible crisis in the Middle East or the passing of Muhammad Ali this year has certainly put us through the wringer. But regardless of what may have happened this year, we have tried our best to consistently push out inspirational, interesting and uplifting content for our readership. In this regard, we can fondly look back at this year as a great achievement for our team and we look forward to the many opportunities 2017 may bring. 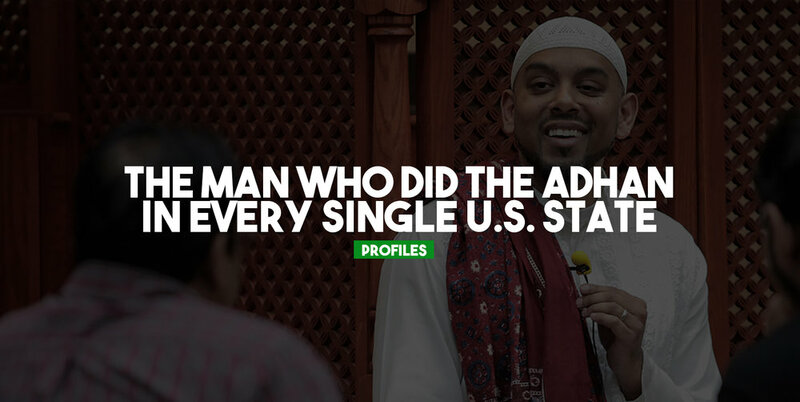 In April we sat down with Jameel Syed, in 2015 he decided on the idea to make a historic journey by calling the Adhan and reciting the last sermon of the Prophet Muhammad ﷺ in every single US state. Jameel's journey lasted 35 days and spanned the whole of the USA, giving him a unique insight into North American and Muslim American Culture. He was a gracious interviewee and provided valuable and important information, with his core message being to build bridges and break stereotypes. Technology, it is safe to say it's all around us. From Android to Apple, Samsung's to LG's you would be hard-pressed to find anybody who hasn't jumped on the smartphone bandwagon. In July we sifted through app stores separating the good from the not so good and brought you five of the very best Islamic apps. In June we released our interview with Jordan Richter a former pro skater and a member of 'Blind team' he shared some of his thoughts on skateboarding, Islam and how we must take care of new Muslims. A fascinating insight into a world of stereotypes, challenges and triumph. A beacon of knowledge, China stood firm with a history of ancient empires, so it was only a matter of time before the spread of Islam would come to the distant land from the Arabian peninsula and form a new identity, a Chinese Muslim identity. In May we explored the rich tradition of Arabian and Chinese calligraphy known as the 'Sini' script and spoke to master calligrapher Haji Noor Deen. Chow down on some Kabuli Pulao in a traditional setting or devour some rump steaks in east London. Last Ramadan we shared our favourite places to break bread in the city of London, these places are also fantastic places to eat all year round so be sure to check out this article for dining inspiration. As part of the #BehindTheBrand series in September, we interviewed Mohamed Rezgui founder of innovative clothing brand PureXI. PureXi has created a unique brand identity through the fusion of Arabian and Neo-tokyoite aesthetics. The article covers originality, entrepreneurship and the struggle to maintain Islamic values in fashion.